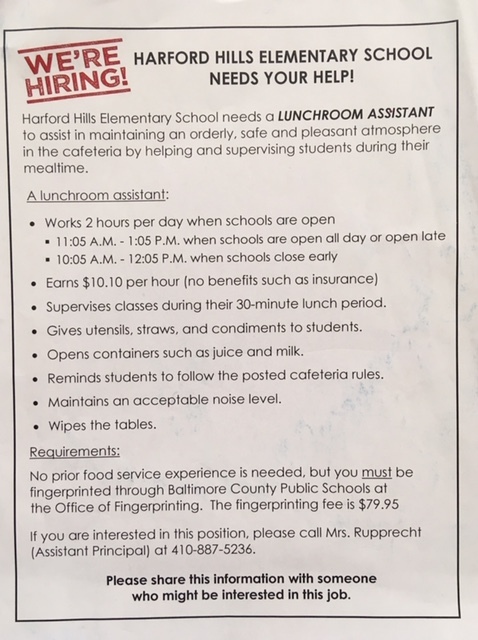 Harford Hills Elementary School believes that all students can meet with success when they are provided a safe, engaging, and rigorous learning environment. Our school community will work together to challenge all students to achieve. We will prepare our students for the demands and opportunities of the 21st century by promoting academic excellence, fostering appreciation of diversity, encouraging lifelong learning, and producing caring, respectful, responsible citizens. School closes 3 hours early April 5th and Spring Break is April 19-23, 2019.